The easiest way to manage your website’s banner ads. Looking for the best tool for monetizing your website? Struggling to find the precise target audience for your ads? Do you need detailed reports about ad performance? Are you tired of manual ad placement? Predefine your ad distribution time frame by choosing the start and end dates. Select all your pages, a specific category or a single page to display an ad. Automatically finish the campaign when impressions and click limits are met. Your ads will look as beautiful as they are on any screen — mobile to desktop. 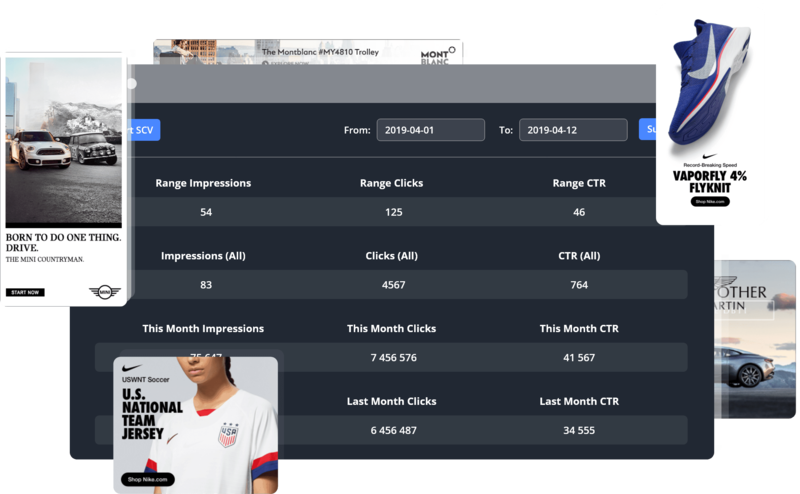 Target specific locations — countries, cities, and states — where you want to display your ads. Detect ad blockers on users’ browsers and set up a message to request disabling them. Target users based on the devices they use: smartphones, tablets or PCs. Run the same campaign on multiple websites by exporting and importing existing ads. Get the most detailed reports with Google Analytics, Piwik Analytics, and Ad Manager’s internal tracker. Define permissions for user types to create, publish, edit and delete adverts. Love the targeting option of the plugin. I can choose which ad to add to each category posts, saving lots of time. This way no client see unrelated ads and everyone’s happy. Thank you. I was a user of the free version of AdRotate for a number of years but my ads didn’t always display properly and I was getting fed up of them reducing the functions of the free version and making them only available on their paid version. This was far too expensive for me as I run a banner exchange system for my clients and don’t yet earn any money directly from serving ads.Your plugin does everything I need for now on the free version and is less complicated to set up. My ads also display a lot better. Thank you! We replaced another ad plugin with this one and it has worked well and been easy to use.